Giddied by the prospect of promotion, Charles Singulier makes the whimsical decision to buy a bowler hat. It is a satisfying, if fanciful, purchase. But there's a problem: this particular hat once belonged to the Surrealist painter René Magritte, and by donning it Charles has unwittingly entered the artist's unbridled, off-kilter world. The choice is clear: uncover the secrets of Magritte's life and work – or be doomed to wear the hat forever. 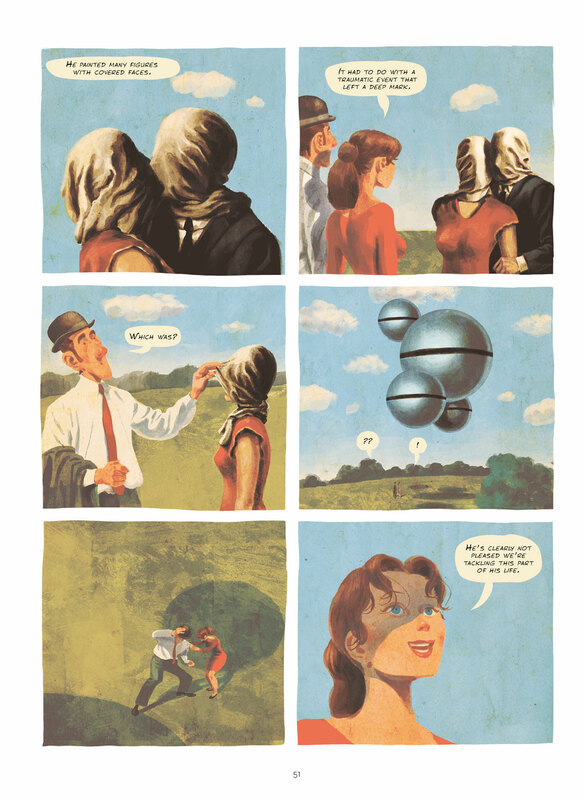 Charles embarks on an exploration of Magritte's imaginative landscape, examining the ideas and penetrating the mysteries of a paradoxical figure: a painter who didn't like to paint; an instinctive anarchist who lived a suburban, petty bourgeois existence; a lonely, melancholy soul never far from his friends and collaborators. 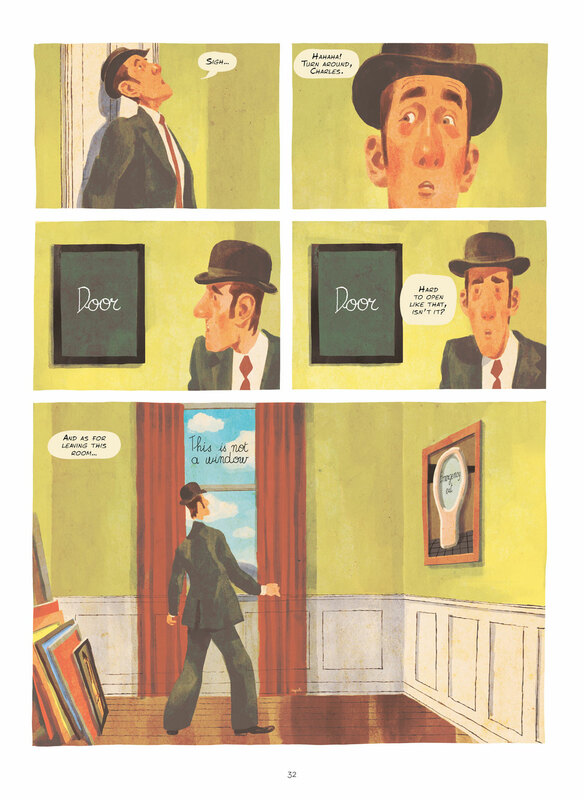 In Magritte: This is not a Biography, Vincent Zabus and Thomas Campi paint a panoramic and revealing portrait of the great Surrealist, employing a playfulness and wit reminiscent of Magritte himself. Thomas Campi is an Italian comic book artist. A graduate of the 'Dossi Dossi' School of Art in Ferrara, he has illustrated three books written by Vincent Zabus. 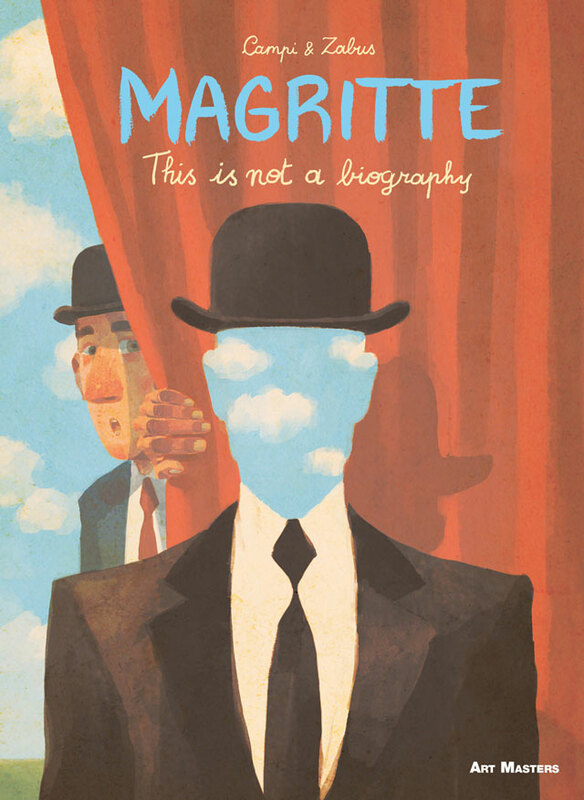 "Packed with wit, humor and gorgeous painted illustrations, Magritte: This is Not a Biography takes readers into the experience of Magritte's brilliance." "Zabus cultivates a sense of Magritte's spirit in both the narrative and the artwork, and given how secretive Magritte was about his personal life, it's an even more fitting take."